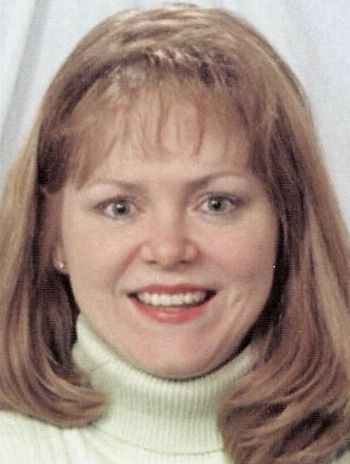 Melodie A. Martin-Angelo, age 51, of Lake In The Hills, Illinois, passed away peacefully on September 4, 2018, surrounded by her loving family, and longtime loyal friend, Tracey Lapota. She was born on November 27, 1966, the daughter of Clinton and Alice Martin. Melodie was a strong and courageous woman and fought bravely against cancer for over 16 years. Through all her struggles, she was still able to brighten a room with her smile. Melodie worked faithfully for over 30 years with Aviation Risk Management. On July 3, 2000, she married the love of her life, Marty Angelo. Melodie was kind to everyone she met and had a soft spot for animals. She had a passion for the Chicago Cubs, Blackhawks, country music, and held a special place in her heart for Garth Brooks and Phil Vassar. Her strong faith led her and her family to become members of Willow Creek Community Church in Huntley where her faith grew even stronger. Above all things family came first to Melodie. She will be truly missed by all who knew her. Melodie is survived by her loving husband, Marty Angelo; her daughter, Jacquelyn Angelo; her father, Clinton Martin; two sisters, Donna (Doug Ruth) Martin, Debbie (Tom Lackey) Martin; parents- in-law, Marcia (David) Haier and Lucky (Sharon) Angelo; brothers- and sisters- in-law, Brent (Cortney) Angelo, Ryan ( Brie) Angelo, Sean (Alie) Angelo, Jason (Suzi) Haier, Ben (Vicki) Haier, and Sina (Jen)Vidic; nieces and nephews, Colleen and Frank Gentile, Braden, Graysen, and Kalen Angelo, Tierney and Callum Angelo, Logan Angelo, Keegan and Carson Haier, Anna and Veila Haier, and Ellie and Lindy Vidic. Melodie was preceded in death by her mother, Alice Martin; and brother in-law, Frank Gentile. The family requests that memorial gifts be designated to the Wilms Tumor Study at Fred Hutchinson Cancer Research Center. Memorials can be made online at www.fredhutch.org/memorial or mailed to Fred Hutchinson Cancer Research Center, PO Box 19024, Dept. J5-200 Seattle, WA or to Benchmark Atlantic Healthcare, 5407 Bull Valley Road, McHenry, IL. Visitation will be held on Friday, September 14, from 4:00 pm until 9:00 pm at DeFiore Funeral Home, 10763 Dundee Road, Huntley, IL. Visitation will continue on Saturday, September 15, from 9:00 am until 10:00 am at Willow Creek Crystal Lake,100 S. Main St. Crystal Lake, IL 60014, Service follows at 10:00 am. For information please call the funeral home at (847) 515-8772 or online condolences may be directed to www.defiorefuneral.com.